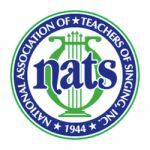 The National Association of Teachers of Singing is seeking two full-time employees to join the executive staff at the national office. Applications will be accepted for both positions until they are filled. The membership services coordinator is responsible for the strategic direction and management of membership development, recruitment and retention of members and ensures that NATS members are served efficiently. This position will also manage subscriptions for the Journal of Singing and complete a variety of other administrative duties. Printable version of the job summary. The program coordinator will assist in maintaining specific areas of the national website and be responsible for the efficient and effective administration of all competitions and training programs conducted by NATS. This position will also assist with other administrative duties. Printable version of the job summary. For more information about these positions, or to apply, please contact NATS Director of Operations Deborah Guess at <!--&MailTo(deborah@nats.org)-->.